It will be the first time ever that Disneyland will officially celebrate LGBT+ pride in their premises with loads of different attraction. The gayest fantasy is about to become reality and the magic Disneyland Paris is set to celebrate LGBT+ pride with a standalone event for the first E-V-E-R time this summer, making it the first Disney theme park to do so. The celebration will take place on Saturday June 1 and has been named ‘Magical Pride’. It will star a parade, a party, selected character meet and greets (finally a picture with the gayest villains ever, Hades from Hercules, and Scar, from the Lion King). The festival will give guests the opportunity to go on some of the park’s most popular attractions late into the evening, basically all the fun for us, grown-up gay kids who have been dreaming about it forever! “Join us for this celebration of Pride at the place where dreams come true,” reads a report on Disney’s website. “Primarily attracting people from the LGBT+ community and their friends and families, Magical Pride warmly welcomes anyone and everyone”. There will also be musical performances. Disney has been hosting Pride-related events, such as Gay Days and Magical Pride events since 2014, but nothing officially affiliated directly with the parks. Now it will be official and the magic Disneyland will (finally) open their gates to the diversity and inclusion of our community. 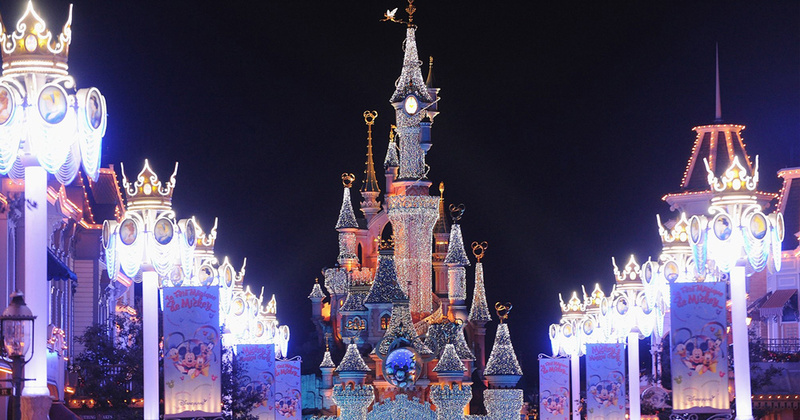 This year marks the first that the annual celebration will be hosted by Disney itself, starting in Paris and hopefully, the other parks around the world will join them soon after. “Diversity and equality are strong values at Disneyland Paris, and each year, we host millions of visitors regardless of their origins, gender or sexual orientation,” a spokesperson for The Walt Disney Company told NBC News.